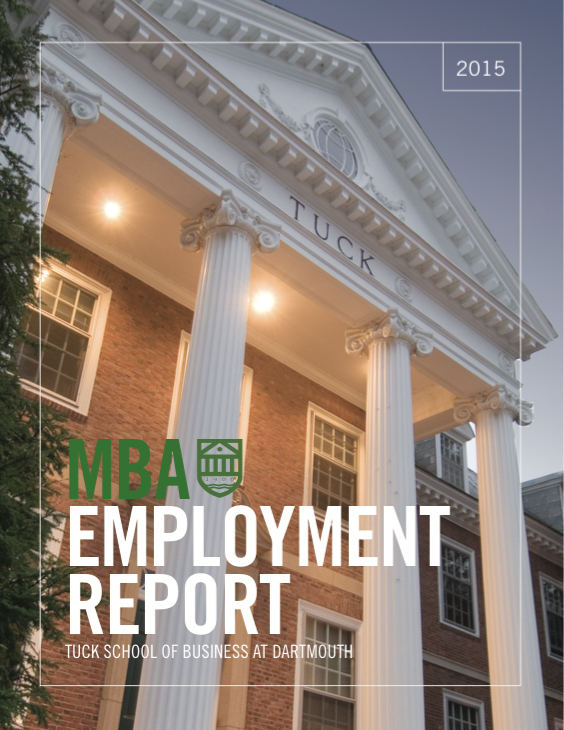 Tuck graduates continue to enjoy great career success, with employment levels and compensation rates for Tuck’s class of 2018 at or near the highest of those of the top MBA programs worldwide. 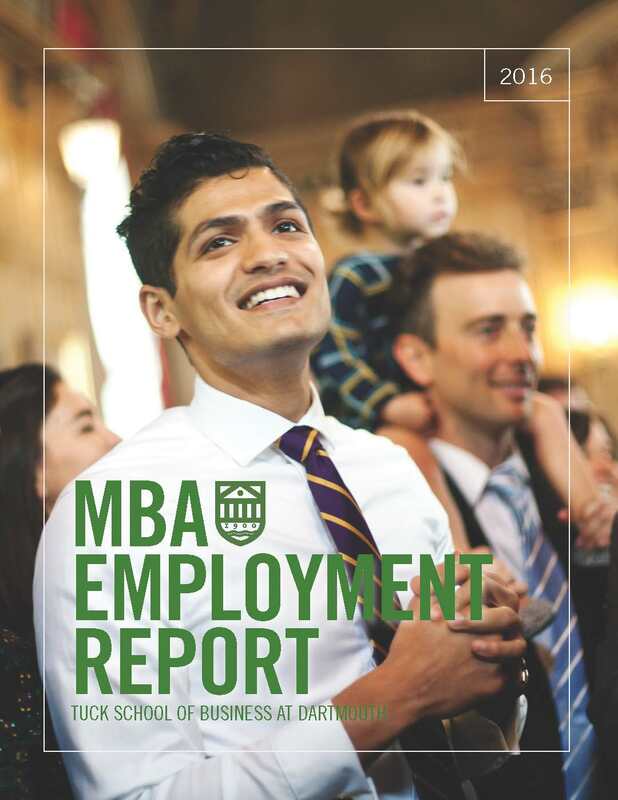 Just as important, they also report a high degree of satisfaction with their post-MBA industry, function, location, and organization. 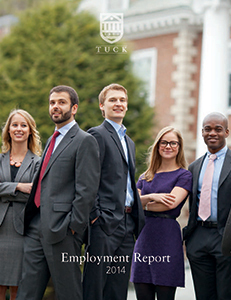 These successes are a direct result of Tuck’s personal approach to management education and its best-in-class career services. The latest employment statistics are available using the menu options at the bottom of this page. To view and download complete employment statistics reports from previous years, please click on the images immediately below.